Here are some links to other related websites. Simply click on the link to the site you wish to go to. But don't forget to come back and see us at the East Dean and Friston Parish Council website. Thank you. News and general interest items appear here in the date order they were entered - latest first. 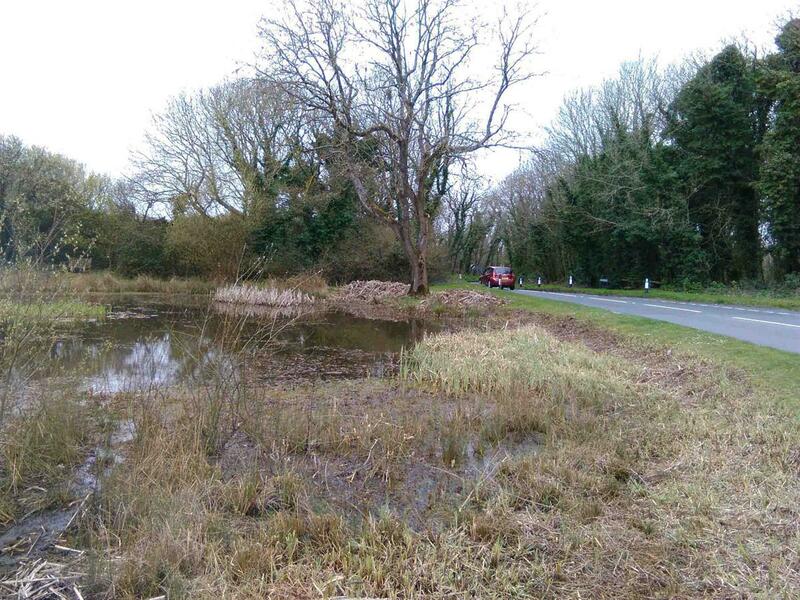 The Parish Council, as custodians of Friston Pond, have arranged for contractors to clear some of the weeds and reeds from the bed of Friston Pond. This is necessary as the weeds had grown to a point where they were causing congestion and taking oxygen from the water to the detriment of wildlife. The reeds were also obstructing the view of traffic on the A259 at the top of Friston Hill. This is the first major maintenance work to be carried out on the pond since it was drained and restocked in 2013. More information on Friston Pond can be found here. 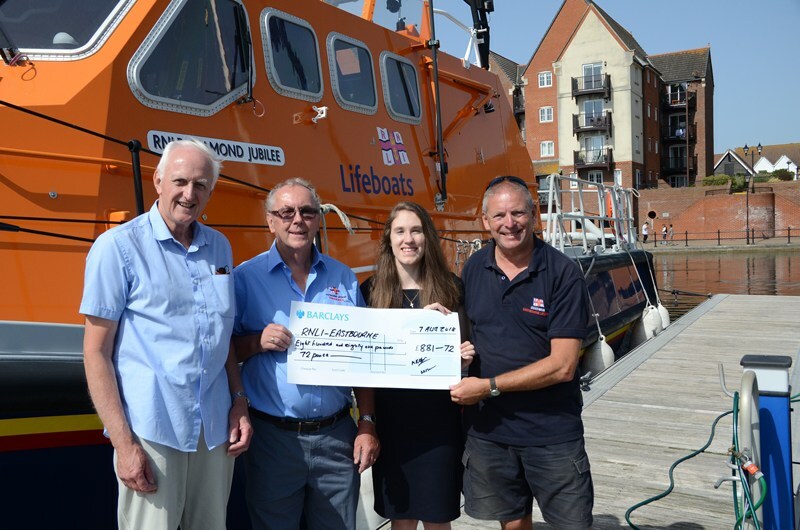 Following East Dean & Friston Parish Council’s decision to nominate the RNLI as its charity of the year 2018, a cheque for £881.72 was presented to the coxswain, Mark Sawyer and Eastbourne lifeboat treasurer, Keith Stevens by Cllr. Amanda Hookham and Cllr.Mike Keller (chair of the Council) at Sovereign Harbour on Tuesday 7th August. Part of the donation was raised by Amanda on the Parish Council stall at the Village Fete with the remainder coming from Council funds. The presentation was Amanda's last duty as a Councillor as she has now moved to Southampton to pursue a maritime career. Afterwards, while the All Weather Lifeboat, “Diamond Jubilee”, was moored in Sovereign Harbour, the visitors had the opportunity to have a guided tour of the lifeboat courtesy of the coxswain and learned first-hand of the work of the RNLI and especially Eastbourne lifeboats. Currently Eastbourne is the busiest coastal lifeboat station in the U.K. having responded to 120 emergencies, so far this year.